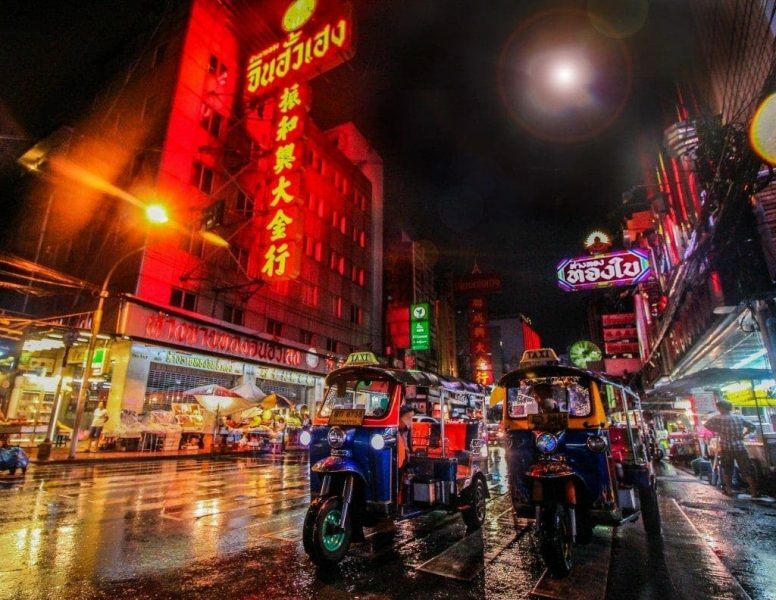 Are you looking for the best hostels in Bangkok? Over several trips to the city, I’ve done plenty of research – and gathered together recommendations from some awesome travel bloggers – to bring you this round-up of budget accommodation options in Bangkok. But with so many to choose from, it’s hard to know where to start. I’ve divided this post into four sections to make life easier – see below for more details. 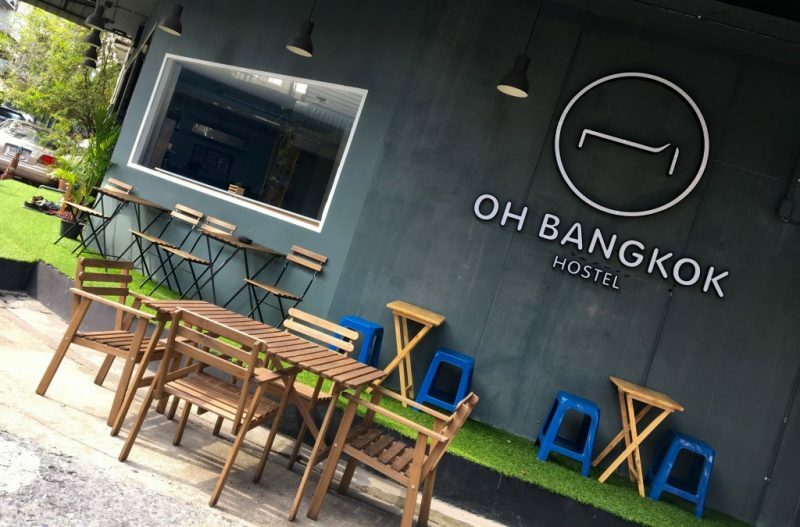 Whether you’re looking for a dorm that feels more flashpacker than backpacker, or a great place to meet fellow travellers, these are some of the best hostels in Bangkok. If you’re backpacking Thailand or visiting on a budget, these recommendations are the perfect places to stay. 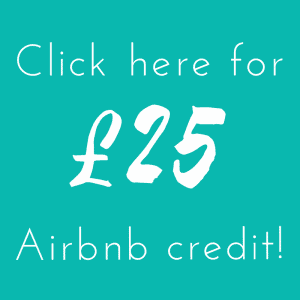 Nice Budget Hostels – cheap and cheerful, not dank and dirty! The following article contains affiliate links – click here to learn more. Premium hostels are truly some of the best hostels in Bangkok. 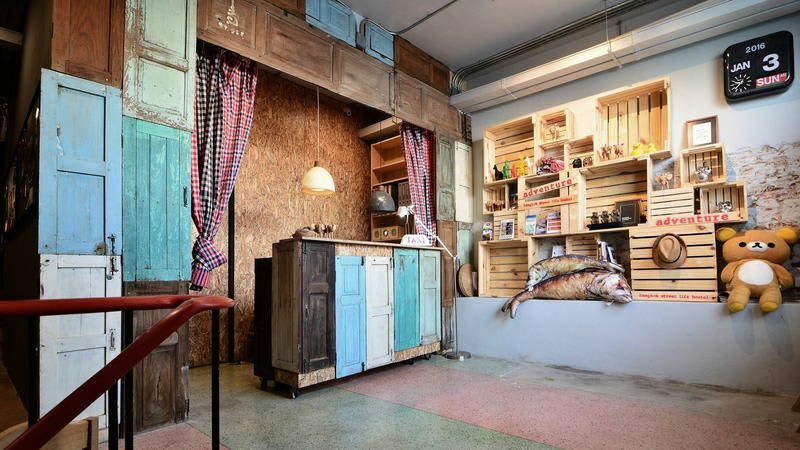 These are luxurious hostels with trendy decor and lots of thoughtful extra comforts! The Spades Hostel is an elegantly designed luxury hostel in the center of Bangkok. The rooms are stunning, but what makes the hostel standout is the large common room. It’s cozy, spacious and well-lit. A restaurant, Lemoncurd Tearoom, serves high tea as well as plenty of Thai dishes. It’s only 600 meters to the nearest BTS station, and it’s only a 20-minute walk to both Platinum and MBK malls if you want to shop. WiFi works well throughout the day and every floor has quiet corners to sit down and get some work done. Although it’s a luxe hostel and has more of a boutique hotel vibe, evenings at the hostel are pretty lively with craft beer gatherings. The staff here, similar to every good hostel, is a cheerful bunch and helps you in everything. We loved the Bangkok Saran Poshtel because this hostel/hotel has a very unique location. It is perfectly located in Bangkok’s Old Town district with the ferry at walking distance. Bangkok Saran Poshtel is a 10 minute walk to Khao San Road and 20 minutes from the Grand Palace, so if you want to avoid public transport or tuk tuk, it’s easy to get to the main sights. The included breakfast was way more than we expected. Cooked to order eggs and meat, fresh fruit, toast and yoghurt; enough to fill you up until dinner time! The dorms all have air conditioning and each bunk bed has an individual locker, reading light, an electronic socket and a USB socket. Yim Huai Khwang Hostel is a funky space with more comfort than the usual hostel. 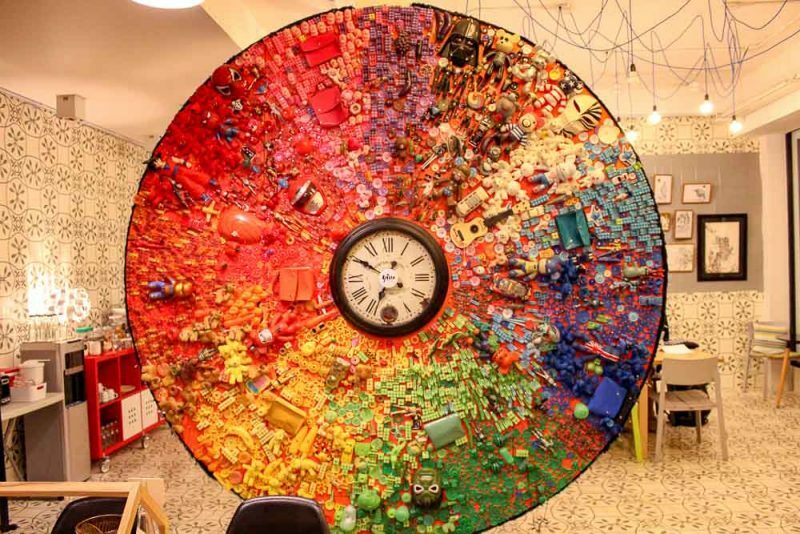 The front entry and common room could double as a small art gallery, with some quirky art works on display, including the huge colourful “wheel” that dominates the space. The rooms here vary from 4 or 6 bed dorms, private doubles or twins. All rooms have their own en suite, so even in the dorms you are sharing a bathroom with only those in your room. While located slightly out of the centre of town, Yim Huai Khwang Hostel is only metres from the Huai Khwang MRT station, so within minutes you can be at the most popular tourist spots. If you are looking for some respite from busy Bangkok with comfy beds and friendly staff, this is the place to stay. CHERN hostel in downtown Bangkok is just a short tuk tuk ride from a handful of the top attractions in the city, including the Grand Palace, Wat Pho, and more. Tucked away in a quiet part of town, the entryway, with its fountains and bamboo accents, draws in visitors. They offer breakfast and lunch options, as well as dormitory, private, and family-style rooms. Try Petit Peyton’s tasty coffee and panini options around the corner, and pop over to Raan Jay Fai, one of the only Michelin rated street food locations in the world. With helpful 24-hour front desk staff, this hostel is the perfect jumping off point for a stay in Bangkok. Issara by D Hostel is the ideal base camp for exploring Bangkok. The hostel has a very convenient location, not far from the Royal Palace. We like Issara hostel for its design and cool vibe, with a very welcoming staff. Issara hostel is the perfect place for socializing, thanks to amenities like yoga classes, live sports events or Bangkok walking tours. We also love its different common spaces, like the cool rooftop bar with awesome views of the city or the beautiful garden with a small pool, where the hosts usually take their breakfast. The hostel has accommodation for all the budgets, proposing double rooms and dorms with shared bathroom. The room price includes a generous buffet breakfast. And what a breakfast! The absolute best hostel in Bangkok (and I’ve stayed in a few!) is The Yard. Located in the Ari district in a beautiful garden setting this hostel is welcoming, cozy, and most importantly, sustainable! They offer both dorm and private rooms that are located in repurposed shipping containers and decorated with an assortment of up-cycled materials. Reusable shampoo and body wash bottles include darling quotes that encourage guests to be mindful about their water consumption in the shower. There’s daily free yoga and plenty of community activities. Staying at The Yard truly feels like paying a visit to a friend. They also have a delicious breakfast, served on biodegradable bamboo plates, of course! 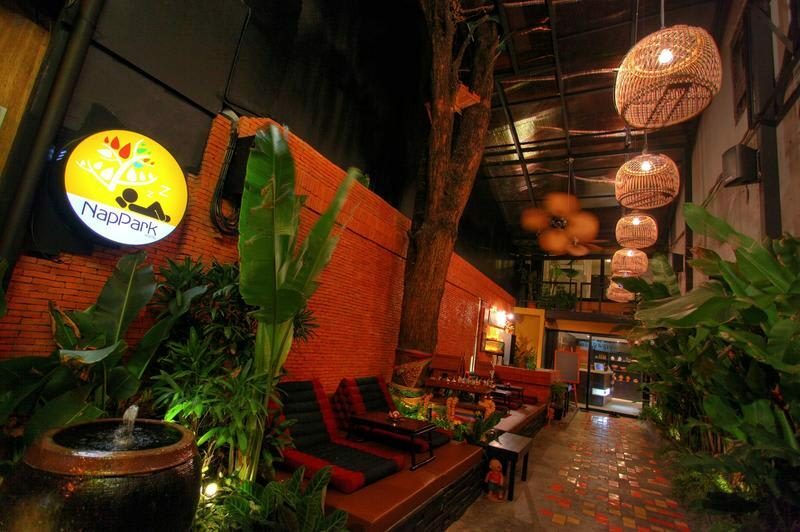 This section features some of the best hostels in Bangkok for meeting fellow travellers. These are hostels that have great common areas and/or encourage social interaction with tours, events, and parties. BUT – you’ll also get a decent night’s sleep in the dorms if you’re not in the party mood. 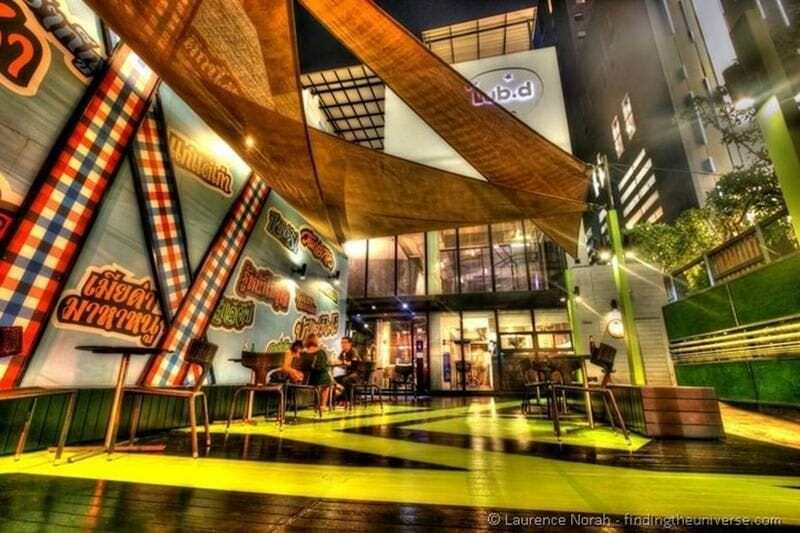 Always high on any list of the best hostels in Bangkok, the Lub D chain are known for their funky, modern hostels. I stayed at Lub D Siam Square on my first visit to the city and loved it! The decor is cool, and there are loads of great common areas for hanging out or relaxing. The patio out front was always full of people and I found it easy to meet other travellers. The dorms were comfy and the staff were super friendly. Plus, the location is brilliant – right by Siam Square and the surrounding shopping areas, and almost next door to the BTS National Stadium Skytrain station, so it’s easy to get around the city. Recommended by: Travel Dave – read his review of Oh Bangkok for more info! Oh Bangkok is an affordable hostel with great location and facilities for travellers to use. What I like about Oh Bangkok hostel is you have a lot of common areas to enjoy, relax and mingle. 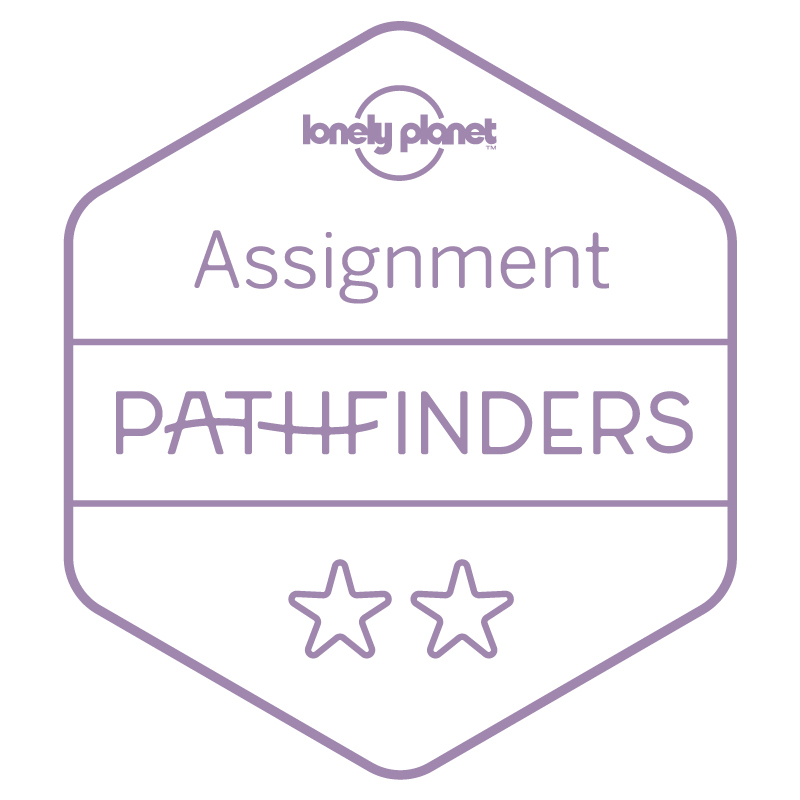 Great for meeting other travellers over a beer or getting some internet time sorted out as they have computers you can use or working spaces to get stuff done .Also got to love free super fast wi-fi included in your hostel stay, honestly, I wish some hotels were this good. Hostels always get the wi-fi working perfectly, which always makes me laugh. Recommended by: Tsareena, Manc Girl Missing. 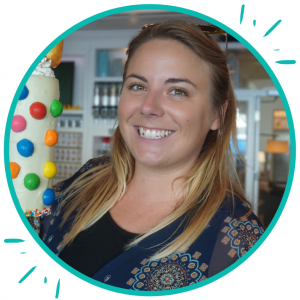 Read her review of 3 Howw for more info! 3 Howw hostel is made for relaxing. After a long day of shopping and exploring temples, you can come back here and sink into giant beanbags with a beer and a movie. I met some great people here over a drink or two. The capsule rooms are amazing! If you want the price option of a dorm with the privacy of your own space this is perfect! Draw your curtain and you’re alone. During my first visit in Bangkok, I stayed at NapPark hostel and enjoyed my stay a lot. The hostel is very modern, with lots of comforts, such as curtains on the bed, as well as a big chilling area. What I especially enjoyed was the location of the hostel, only two streets away from the infamous Khao San road, but still in a comparably quiet area. Therefore, you got the best of both worlds – a crazy nightlife but also a quiet sleep! Besides that, the hostel staff was very friendly, and can also help you organizing trips and excursions. If you want to stay in a social hostel close to Khao San, you should check out NapPark. 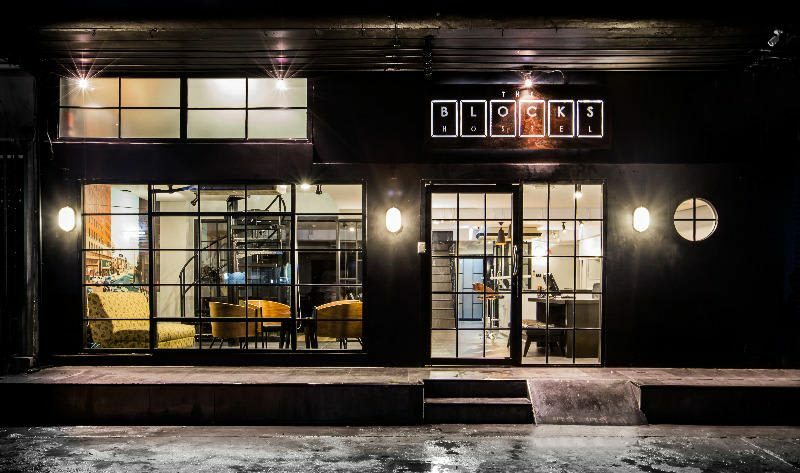 If you’re looking to be near a party without staying on Khao San Road, try The Blocks. Being in Sukhumvit, it’s a stone’s throw from the nightlife in that area. What I enjoyed the most about the hostel were the meeting spaces. The indoor common area is bright, airy and stocked with games and films, and there’s a sheltered rooftop terrace. They’re perfect for lazing around and meeting other guests. Terminal 21 mall, the sky train and the subway station are a short walk away, so it’s easy to get to the airport and the rest of Bangkok. If you want to experience an amazing local part of Bangkok, then you need to head down to lower Sukhumvit. Cazz Hostel is conveniently located a short walking distance from Phrakanong BTS Station on Sukhumvit Road. Phrakanong has a lively vibe, combining traditional Thai lifestyle, the more recent Japanese community, and a large expat crowd. Some highlights of the areas include: $2 meals at the Onnut Fresh Market, buffet BBQ and all you can drink beers for $10 at Best Beef, and the huge open-air night market called W-District. Dorm rooms at Cazz Hostel start from about 250 THB per night. There are 4 or 6 bed dorms, great kitchen facilities, and helpful staff who will point you in the right direction for all the local attractions. This section is for the best hostels in Bangkok if you’re travelling on a tight budget. We’re talking cheap and cheerful, but still comfy and pleasant! 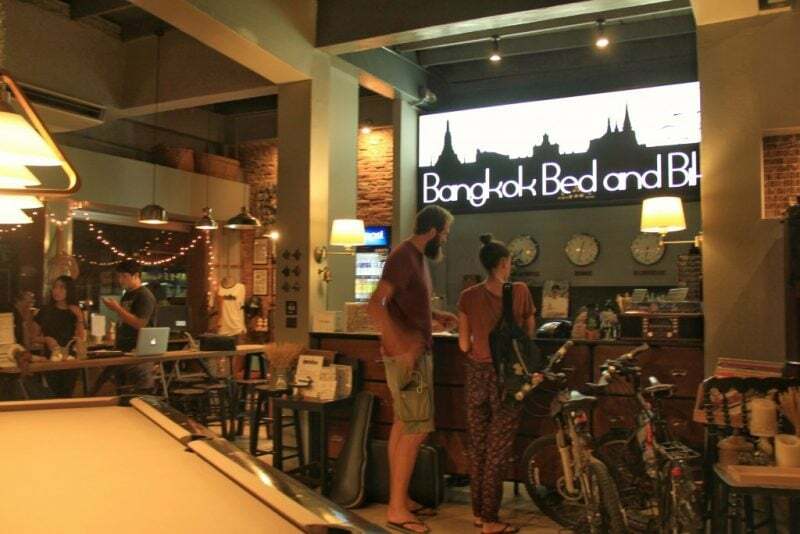 Bangkok Bed and Bike is a great option if you want to stay in Banglamphu, close to many of Bangkok’s cultural attractions, but want to avoid Khao San Road. It’s a relatively new hostel with a selection of dorms and private rooms, all with spotlessly clean shared bathrooms. 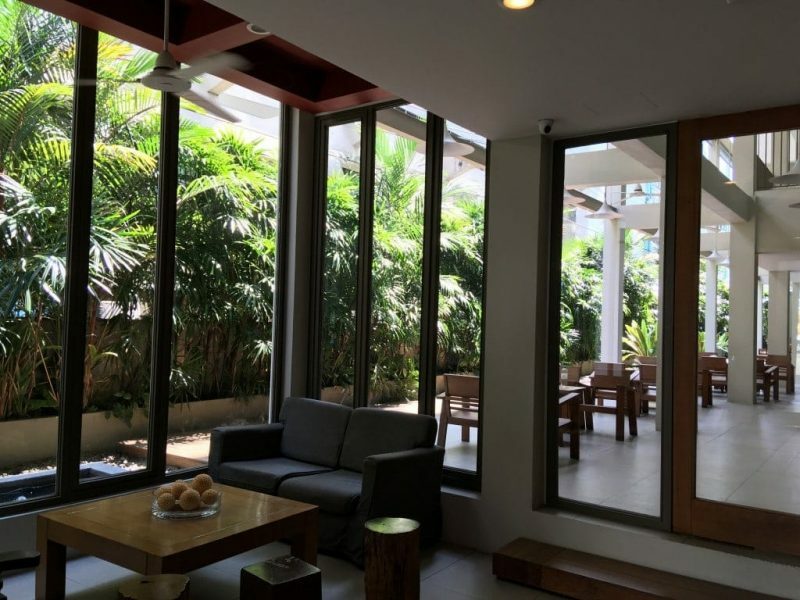 The decor is industrial style but with calming Asian influences, and the common areas feature lots of traditional Thai Kapoks for lounging around on. They offer free bicycle rental (once per stay) plus the option of joining a tour with a local guide around the city. There’s also a complimentary breakfast every morning, free luggage storage and discounts available for stays longer than two nights. Private rooms start from 1000THB (per room) and dorms from 400THB (per bed) so it’s a great choice for budget travellers. I have traveled in and out of Bangkok many times and Adventure Hostel would be my number one budget hostel recommendation! To begin with, the hostel’s location just north of the city center is absolutely prime. It is easy to get to the majority of Bangkok’s popular areas of interest, and it is directly next to the Saphan Kwai BTS stop. Also, the staff are truly welcoming and super helpful in recommending Bangkok’s best and how to get there. I really was blown away by their hospitality and patience! Lastly, the hostel is exceptionally clean and comfortable. There’s also a rooftop bar so this is also a good hostel for meeting people! I stayed in Bed Hostel in Bangkok last year and it was one of the best value hostels I’ve ever stayed in. First of all, it was super clean. I’m the type of traveller who easily gets the heebie jeebies from hostel bunk beds, but I felt completely at home here. The linens are new, the rooms are cleaned well, and it’s spacious and well-ventilated. The hostel is right on a major subway line, too. There is a giant lobby with high-speed wifi, free Thai tea and coffee, and cookies. The furnishings were very modern, sort of industrial chic. Best of all: it was $14 a night! Located in a small sub soi, in the Phrom Phong district (Sukhumvit 41), Lamurr Hostel is a super convenient and modern hostel. Dorms propose various configuration from 4 to 8 beds and offer female only options. Clean and practical (kind of a capsule system), the hostel has great atmosphere and is a great option to live in Sukhumvit : Phrom Phong is great (mostly famous as a japanese neighboorhood), Thong Lor (dinner extravaganza) is nearby and the W district of Phra Khanong is just a few BTS stations away.